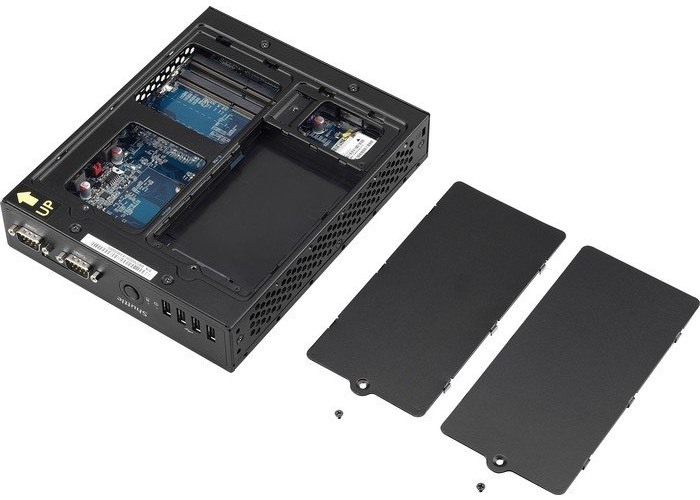 Shuttle has this week announced the launch of a new addition to its range of mini PCs with the unveiling of their latest creation in the form of the fanless Intel Broadwell powered Shuttle DS57U mini PC. The Shuttle DS57U can be powered by a choice of Intel’s 5th-gen Intel Core processors in the form of either a Intel Celeron, Core i3, Core i5, or Core i7 supported by up to 16GB of RAM via two SODIMM slots. 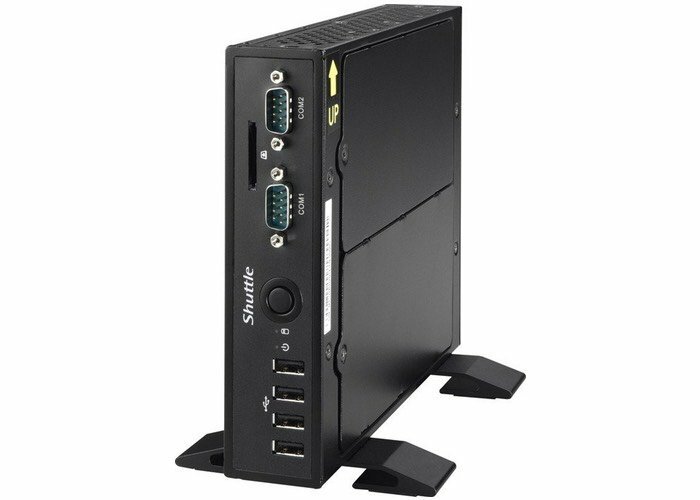 Other features of the new Shuttle DS57U include 802.11b/g/n WiFi connectivity together with 2 x Gigabit Ethernet ports, HDMI, DisplayPort, 2 x USB 3.0 ports, 4 x USB 2.0 ports, 2 x serial ports, and an SD card reader all enclosed in a case measuring 7.9 x 6.5 x 1.6 inches in size. Shuttle have also equipped the new system with a 2.5 inch SATA III drive bay that is capable of accepting either a HDD or solid state disk (SSD), together with a full-sized mini PCIE slot with mSATA support and a half-sized mini PCIE jack. Shuttle will be launching the new Shuttle DS57U mini PC initially throughout Europe, priced at around €197 or $217 and is expected to support a variety of operating system including Windows 7 and above and various Linux distros.